OrangeCard Requires Mac OS 10.9 (Mavericks) or later. 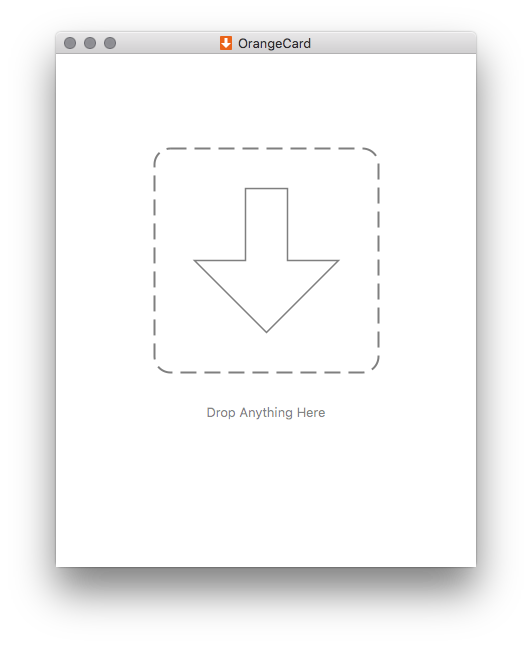 OrangeCard is available on the Mac App Store, for just 99¢. 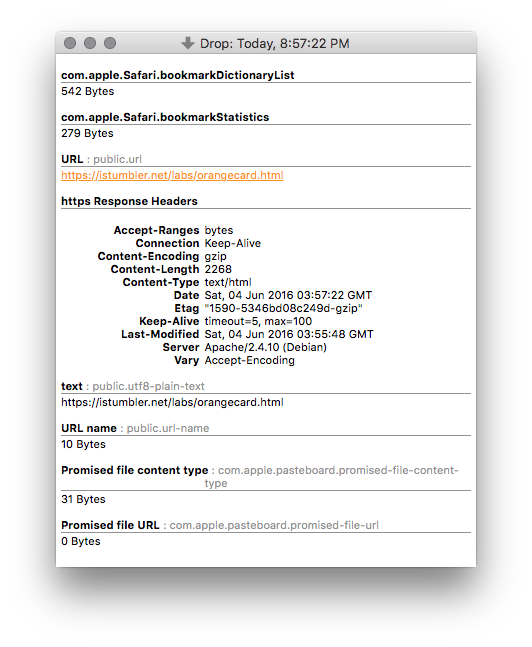 OrangeCard is a simple Utility for Mac OS which displays the contents of drag messages and clipboard pastes. Please contact me for help or feature suggestions. 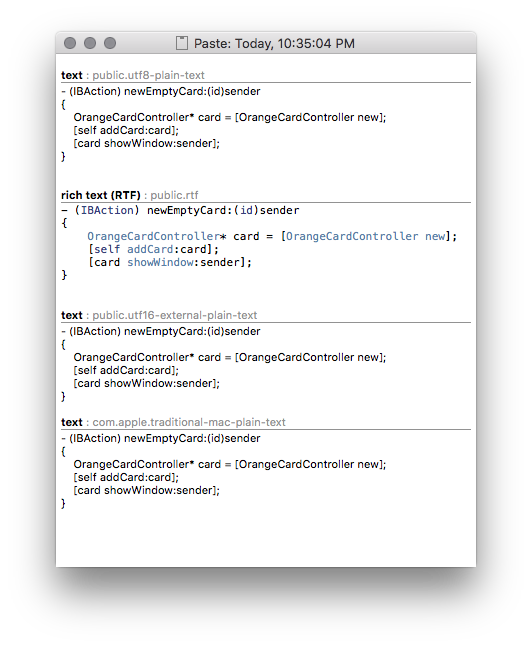 OrangeCard uses CardView.framework to format it's contents nicely, and LiveBundle.framework to keep the list of attributes up to date.